La Belle Province at multiple locations. Not all are that good, though. Very good poutine at 1 Rue Ste-catherine E (corner St Laurent). Also: 1216 rue Peel (between boul. René-Lévesque O. & rue Ste-Catherine O., next to the Tourist Info office). This is pretty good poutine, the fries maintain their crispiness at the start and unless totally smothered by the sauce. The cheese is not as fresh (tastes good, but no "squeak") as in the better places. Right amount of sauce, and a good amount of cheese. So, not bad at all - for a fast-food joint, this is pretty good. Have never eaten anything else here, but have heard good things about the hot-dogs. La Belle Province looks like a franchise, but certainly does not seem up to the McDonalds standards - it seems some restaurants use the name and logo but may not be following the exact same procedures. For example, the La Belle Province at 3001 Notre-Dame near Atwater Market is a sit-down type of restaurant and the poutine there was not as good - fries were too mushy. 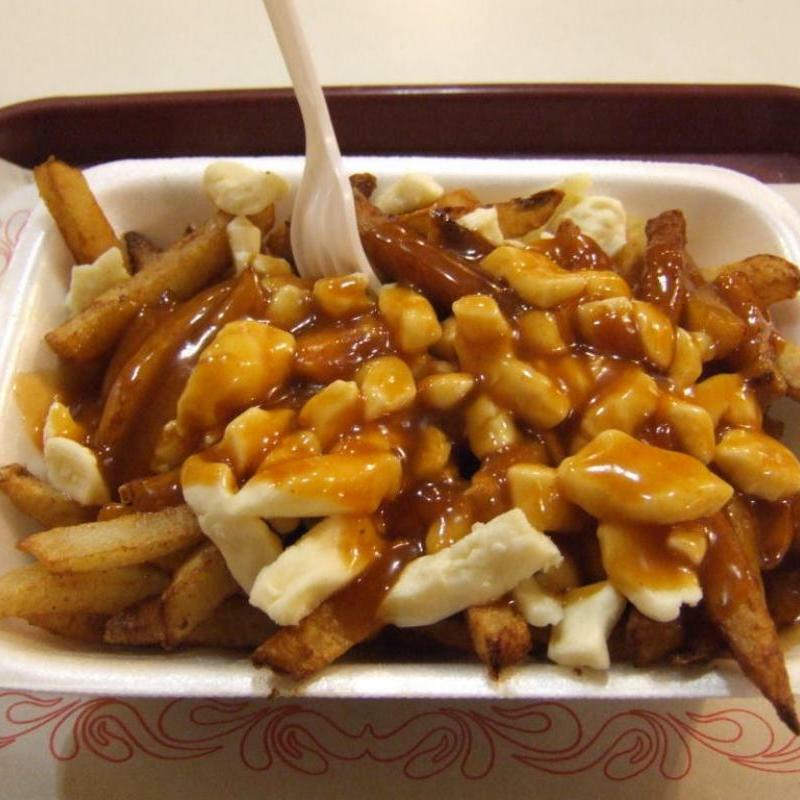 So, even though this is a standard greasy spot, some locations have pretty good poutine. Certainly the two listed on top of this post are pretty good.